There were two important reports on the U.S. economy released this morning. 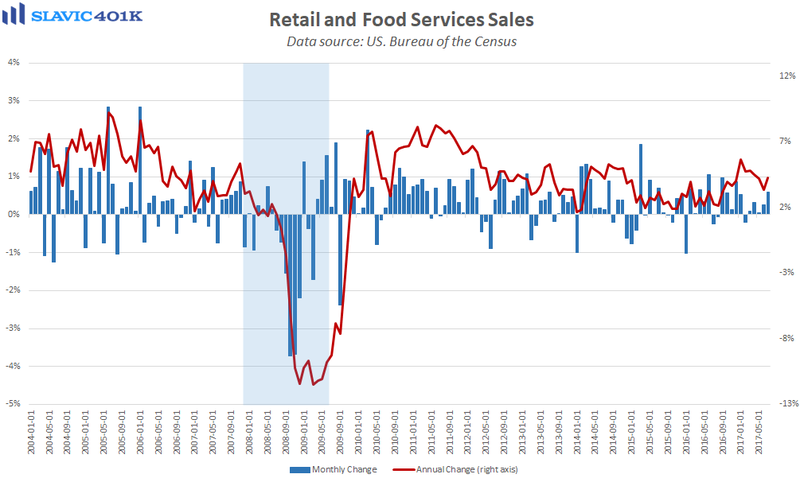 First, data from the U.S. Census Bureau showed that advance estimates of retail and food services sales in July totaled $478.9 billion. That was a 0.6 percent increase from June, the largest monthly gain this year, and significantly better than economists had expected. 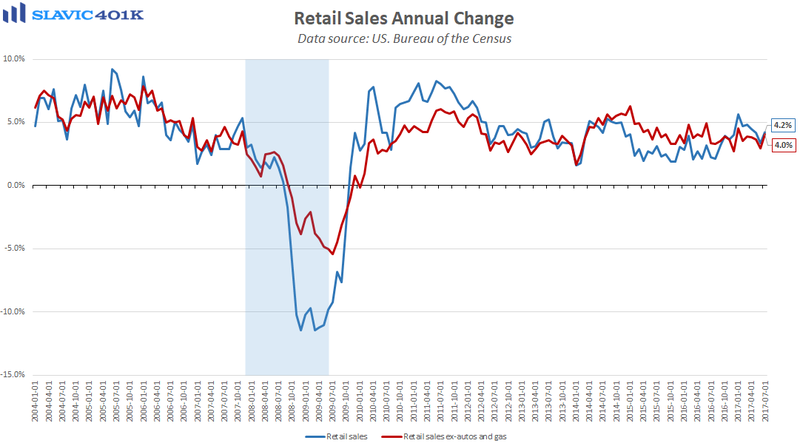 Even core retail sales, which exclude the volatile automotive and gasoline components, lifted by a better than forecast 0.5 percent last month thanks in part to strong gains at department stores, sporting goods retailers, and building-supply outlets. Clearly the combination of a healthy labor market, modest inflation, and low borrowing costs is supporting the Federal Reserve’s argument that the economic weakness seen earlier this year was transitory. Moreover, today’s solid retail sales data should cause some analysts to raise their projections for third quarter U.S. gross domestic product (GDP) growth. 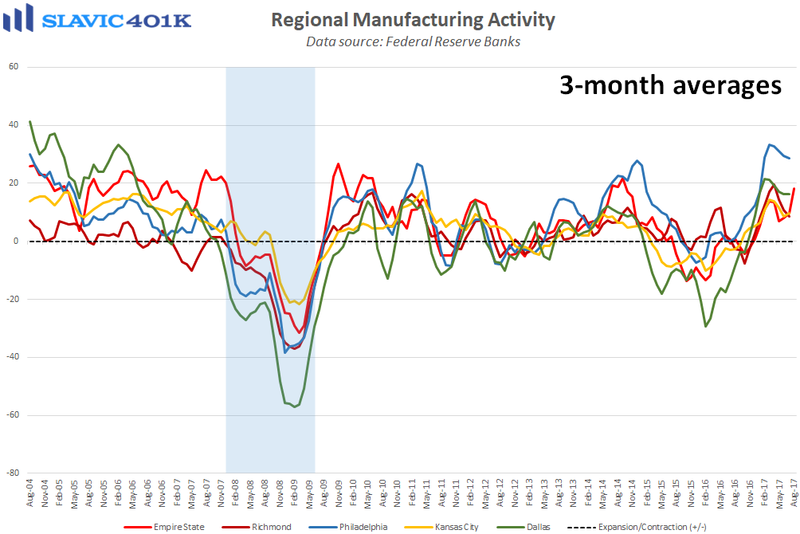 Elsewhere, a report from the Federal Reserve Bank of New York showed that manufacturing activity in the Northeast region of the country rebounded this month, as the general business conditions index surged from +9.8 to +25.2 in August. That was significantly better than economists had anticipated and the highest headline reading since September 2014. 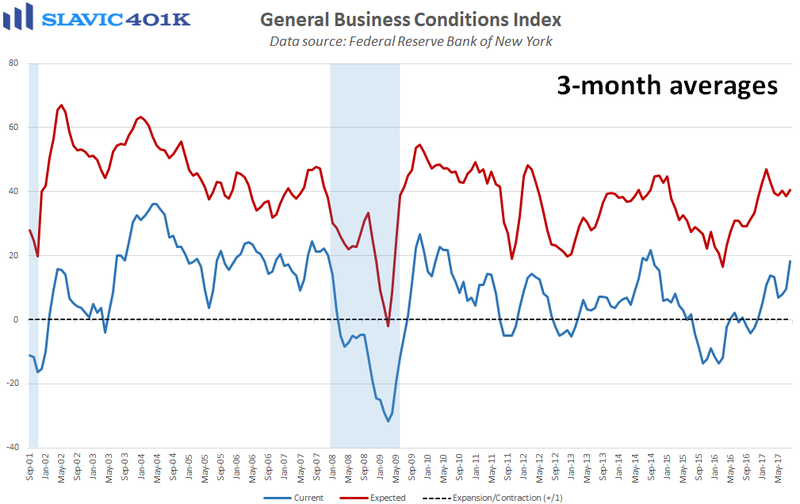 Under the hood, current measures of new orders, shipments, total employment, and hours worked all improved in August but margin strain worsened slightly. Forward-looking (six months ahead) gauges also generally strengthened in August but reported plans to boost capital expenditures and technology spending declined. That is likely a reflection of surveyed managers' confidence in the U.S. economy but frustration with the lack of progress in Washington in the areas of tax cuts and regulatory reform.